Well hello there! Hello from southern California, where “winter” is more of an abstract concept than an actual reality. Oh I kid, I kid. Even here in SoCal we get to experience four distinct seasons. But our variation is much less variable, I guess you could say, and there’s never a time when the garden completely shuts down. So, I thought it might be fun to do a little guided tour of what’s going on, right now, during the “dead of winter” . . . and keeping in mind that it was 65 degrees yesterday. Brrrrr icy. So on Sunday, during a break in the downpour, I scurried outside to capture a few photos from around my yard and garden. Here’s what it looks like, right now: a happy mix of fruit, flowers, fresh veggies, and in-progress preparation for the coming spring. 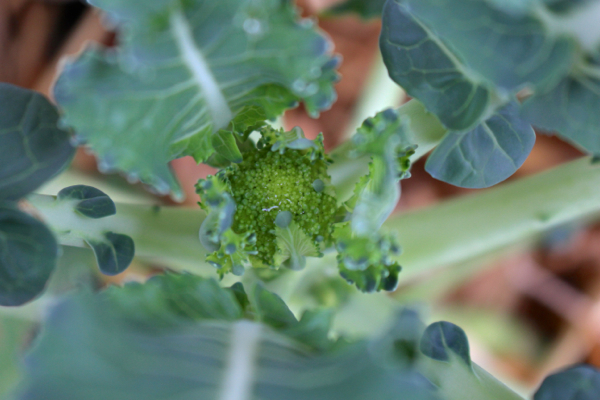 And of course, curly kale! 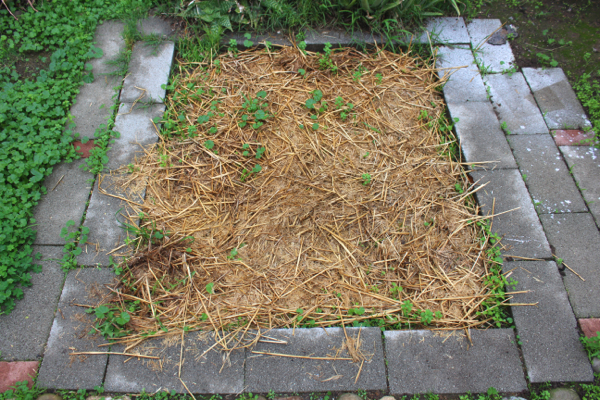 My main flower bed is getting the over-winter treatment: buckwheat cover crop (sparse and gone to flower, by now) and a thick layer of hay. Not the prettiest, but it’ll make for some super duper soil, come spring. 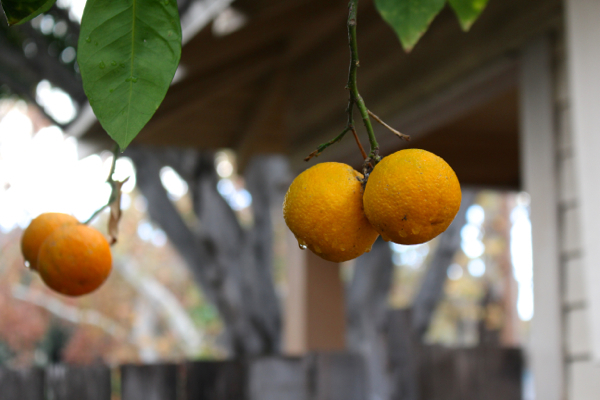 My orange tree *finally* got pruned this fall, and it’s soooo much happier now! They make the best juice. 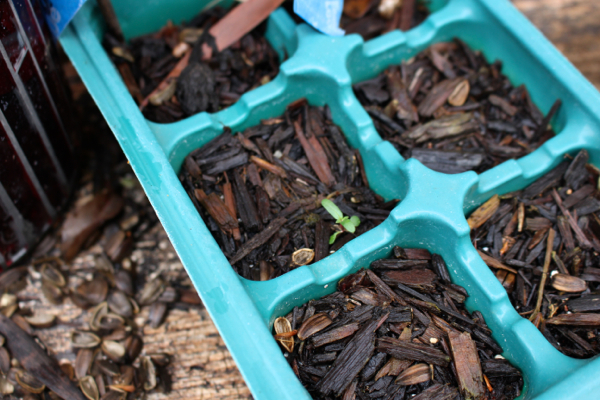 I spotted this errant tray on my potting table, with this eager little seed already sprouting – left over from last season, I guess. Go seed go! 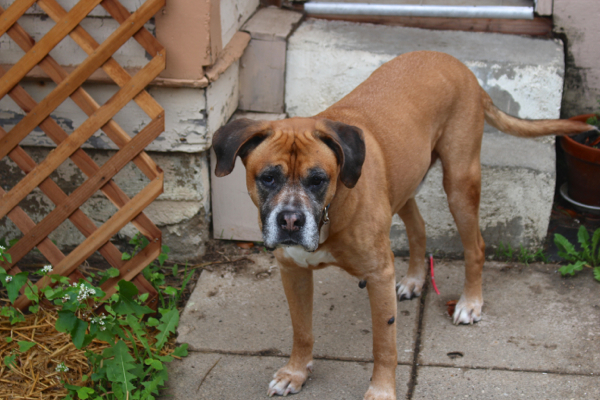 Harley would like to know what we’re doing outside, and why is it wet, and can haz cuddles now? 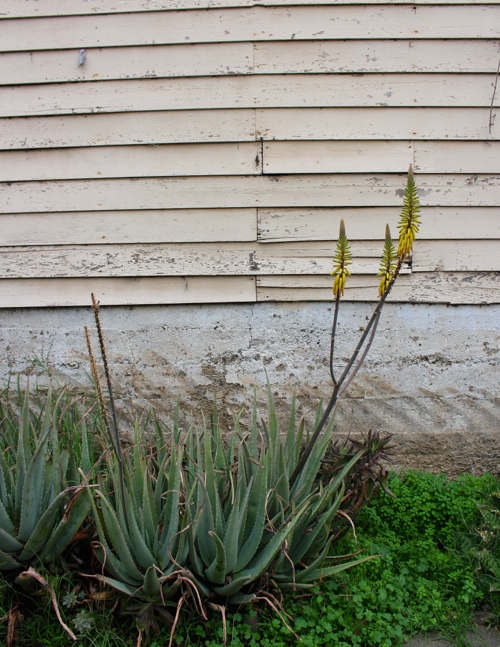 Aloe vera plants flower in winter, and they grow like weeds around here. But the yellow ones – quite rare and just now beginning to bloom – are my favorite. 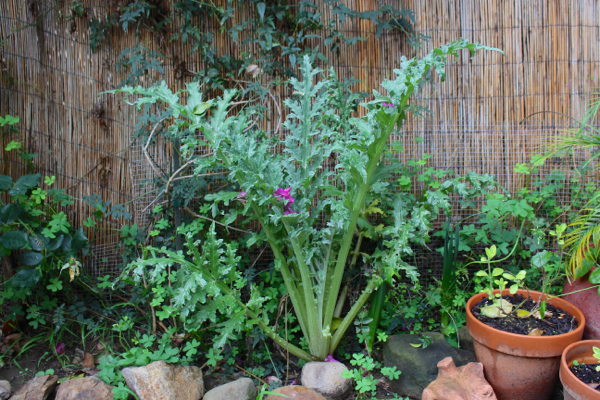 My artichoke is loving the cooler weather and all the rain. 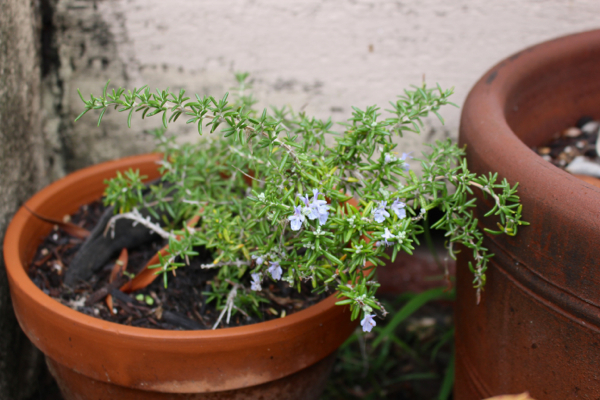 I’m also growing a number of potted herbs, like this rosemary which is currently flowering. Petite periwinkle rosemary flowers are the cutest! 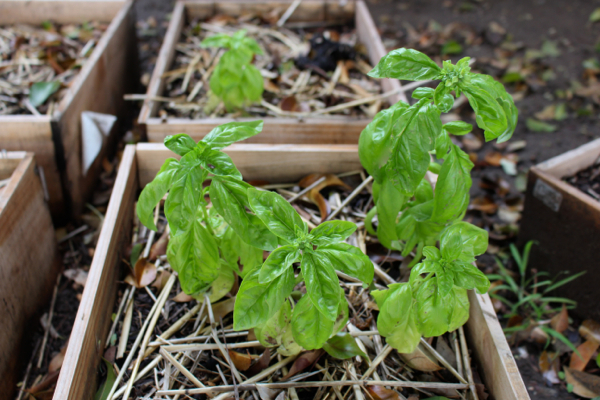 And this silly basil, which was stunted all summer, and I basically totally forgot about it. Until recently, when out of curiosity I went to go check on it, and whattaya know? It’s taking off! Not enough for a batch of pesto like I’d hoped, but great for sauces, salad rolls, and herby dressings! 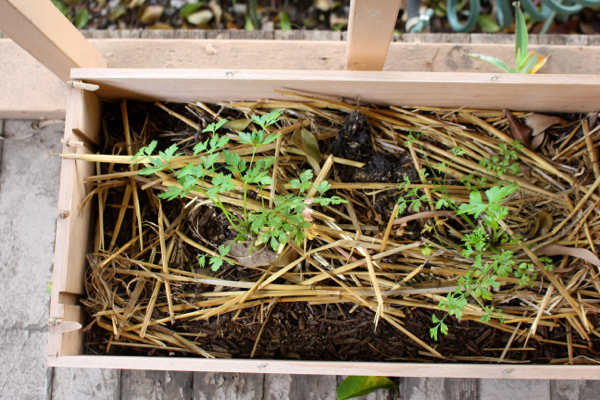 I’m growing lots of parsley, in various pots and wine boxes around the yard. I don’t like to eat parsley, but I LOVE to juice it. And look what else I found! 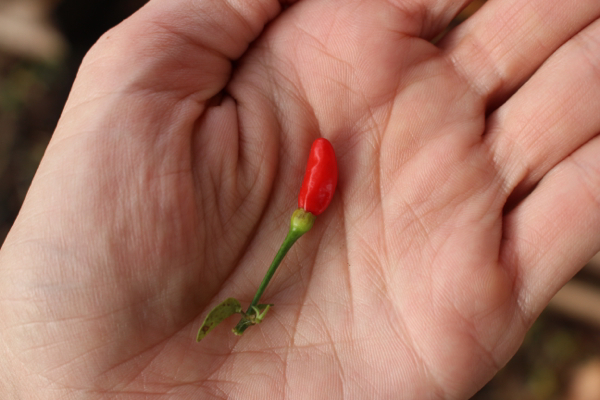 I’d been leaving my pepper garden alone, allowing it to die back naturally (okay, that’s a fancy way of saying school started back up and LA LA LA LA I was ignoring it), but I was poking around this weekend and found a teeny tiny Tabasco pepper. Actually, upon further investigation, I found a number of straggler peppers: the Tabasco pepper, a Hungarian Purple Pepper, and a Poblano chili. None of these are very plump, and I probably won’t eat them. But I’ll dry them out and save the seeds to plant next season! And that’s about it for me and my winter garden. So what about you? What’s growing right now, where you live? Anything at all? Under cloche or in greenhouse? Indoors only? I’d love to hear from everyone out there – it’s so fun to compare the experiences of people across the country, as well as around the world. Icy cold in the northern hemisphere, sunny bright in the southern. Let’s share our gardens! 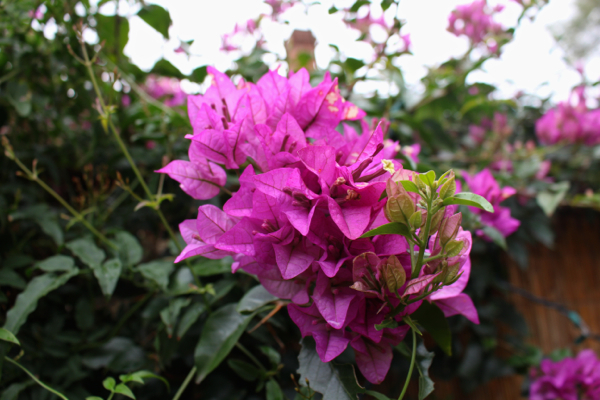 I’ll leave you with some of the absolutely beautiful bougainvillea, which basically blankets all of Santa Barbara (seriously, it’s everywhere). I remember growing up here and taking it all for granted, thinking that bougainvillea was so boring, so common. Like a magenta weed. Of course, I was crazy! It’s an incredible plant, sprawling and vining with parchment paper buds perched in clusters like origami on the branches. And I love this stuff, now. I’ll never take it for granted again. It’s summer here in Oz. But after a few really hot days (42C) its been mello and rainy (23C and wet) so my tomatoes are green and plump and waiting for a burst of sun to ripen them up, my zucchinis are slow, my cucumbers tiny wee baby’s, my basil bountiful and my corn zooming to the sky (but no cobs yet). It’s lovely to have the rain anytime tho – were just out of a five year drought here and rain is always welcomed. Now that I’m living in Florida, I too am subject to the 65 degree winter! Strange, but there’s something to be said for being able to wear similar clothes year round. No gardening for me this year, save my little jar of sprouts that grows happily away in my dish drain. 3rd floor apartment living, yeesh! Hoping to get a few herbs to keep on my stoop though. 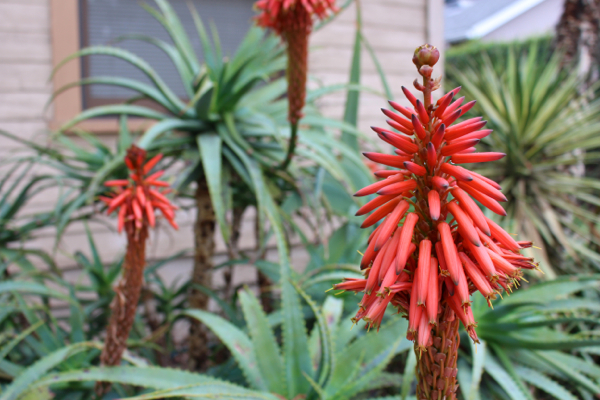 I have a million aloe plants and have never seen them flower. Maybe it’s because it’s too cold in upstate NY. I’m so jealous! It’s 6 degrees here in Ohio, so there are pretty much no signs of life in the outdoor plant world right now! I have a few tropicals and succulents wintering over indoors, which provides a nice splash of green plant-y-ness in my place. Now that it’s the new year, even though winter technically isn’t even a month old, I’m counting down until spring! As much as winter can be a bummer (i.e. everything is the saaaaame shade of grayish-brownish from the ground to the sky), watching the monotony turn slowly into spring is so much fun. I also want to try out some air plants in the interim while I’m waiting to replant my balcony full of pots! I’m in sunny south florida and this is our gardening season for conventional vegetables that can’t take the heat & humidity of summer. I have beans, tomatoes, squash, peppers, mint, basil, & nasturtiums growing seasonally in my front-yard vegetable garden. Perennials include dragon fruit, sweet potatoes, papayas, pineapples, some peppers, malabar spinach, holy basil, chives and leaf amaranth. I appreciate vegetables that are no work at all, but nothing beats the tomatoes that are home-grown. 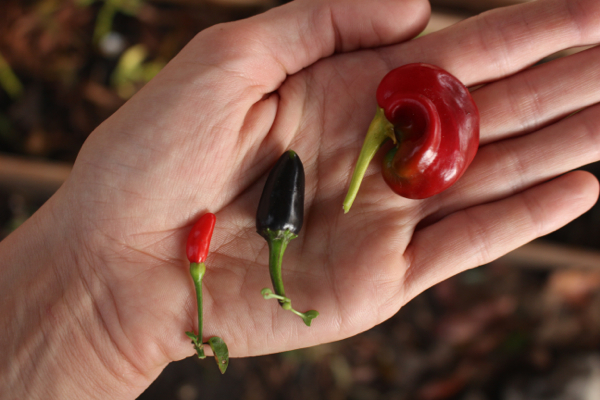 Did you know that peppers are actually perennial??? In most temperate climates they die from the cold in winter, but in warmer climates (or if you bring them inside in winter) they’ll continue on year after year! Not sure if it’s warm enough where you are, but I would think so. You can even cut them back to just a little stump and they’ll come back! 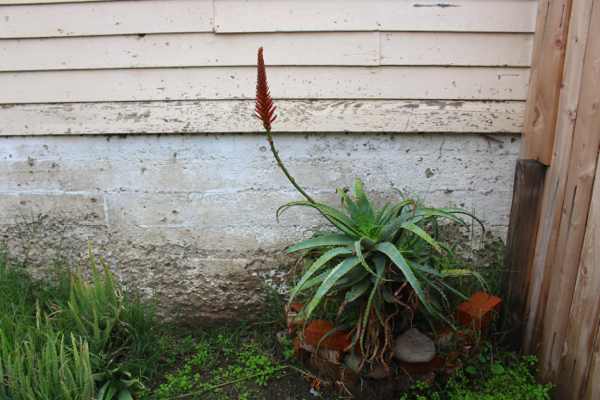 I have one little aloe vera plant indoors – everything outside is blanketed in a few feet of snow. I haven’t flexed my green thumb much but I pruned the wild hawthorn tree in my yard, it’s looking healthier and is full of song birds in every season. 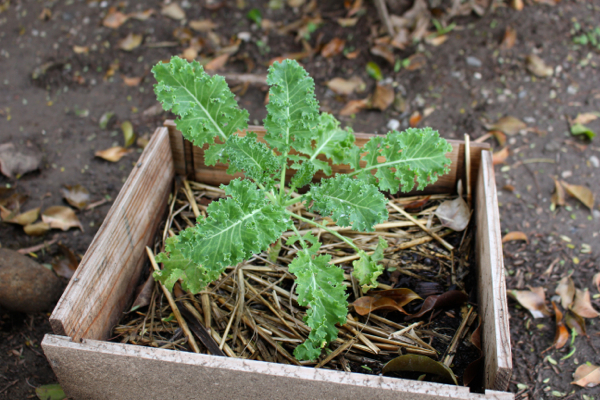 Love your artichoke plant! 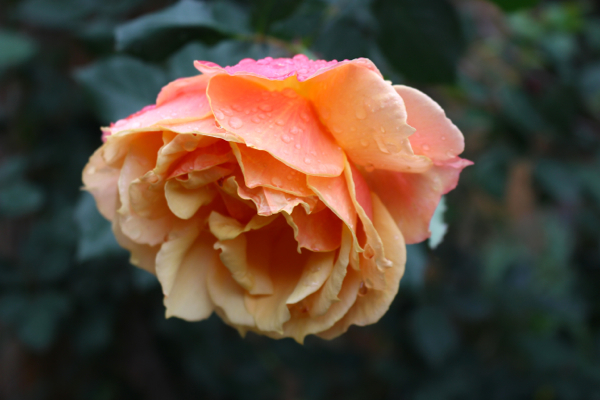 I live in Alberta, Canada….. these photos make me yearn for spring to arrive! I haven’t seen green… ANYTHING…. 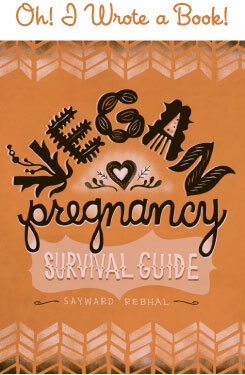 in three months! It’s cool to see how even a place with a fairly temperate climate still experiences “seasons”. Eeeee! This makes me so excited for growing season! I am ALL about the tomatoes, and I really want to try cukes again this year too (I’ve never had much success with them). When I first moved to Portland I was sooo excited for the drastic weather differences between seasons. But . . . nope! Haha, I’ll take the 65 degree winters, thank you very much! Oh yes, indoor plants, especially in winter, are so crucial! And I love your optimism. Watching the seasons change is certainly a treasure. Winter–>spring i certainly one of the best! How long have you been growing dragon fruit?! 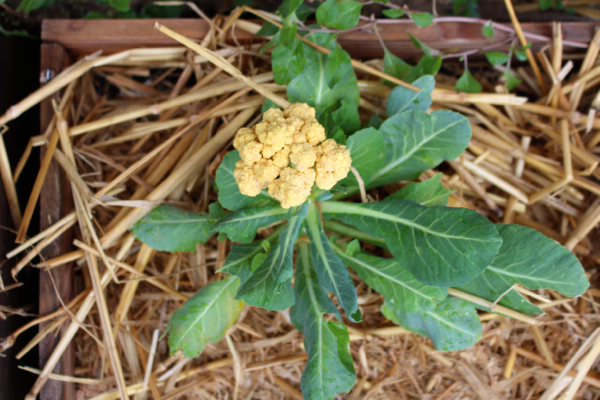 I’m growing my first one this year and I can hardly wait for it to fruit! And sweet potatoes are amazing, I really want to grow some of those. Do you do them in-ground or do you do towers? Love all the tropical fruit. And *completely* share your sentiment about homegrown tomatoes! Ooh I didn’t realize that! A few of my bells still have some leaves hanging on, I wonder if they’ll come back this spring? Thanks for the tip! I just let the sweet potatoes roam all over the garden but we end up mostly eating the leaves because I don’t seem to get very big tubers. Can you grow pineapples there? They’re so easy! And malabar spinach is so pretty. Awesome, thanks. 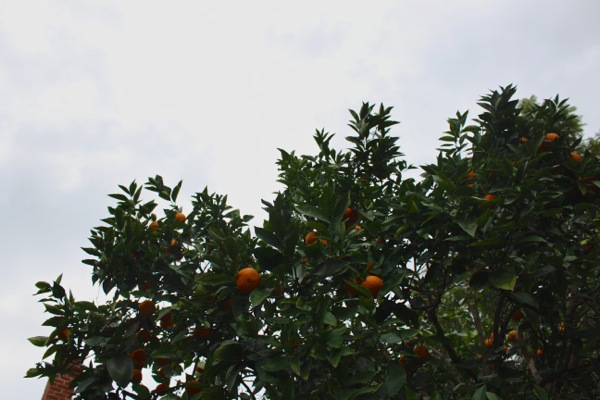 I’ve been giving it lots of fertilizer and amendments, to hopefully this summer I’ll get some fruit! ll have to check on that. I’d LOVE to grow them! 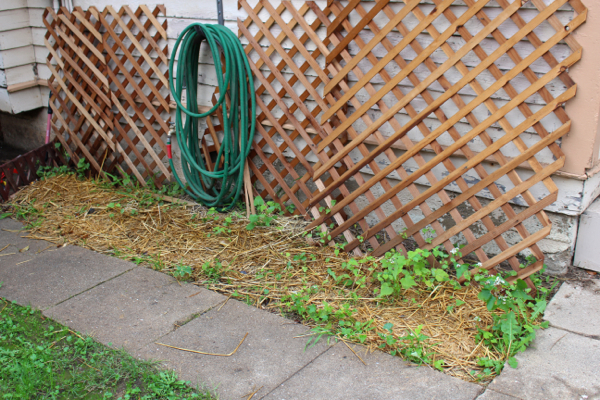 Isn’t being able to garden year-round the best? Down here, it’s wisteria that sprawls and vines all over the place. Most people find it to be a menace (it’s aggressively invasive), but it’s one of my favorite things about the South. And when it blooms! I’m as hypnotized as the bumble bees that flock to my wisteria tree. You’re so lucky to have it everywhere! Hey! Yes I am ALL over your blog today, as you can see! Was wondering…do you know any bloggers you can connect me to who live in more ‘wintery’ climates year-round? (I’m trying so hard to grow things up here in Alaska, and with my black thumb as it is, well let’s just say it’s becoming cheaper to buy the produce than to grow it! 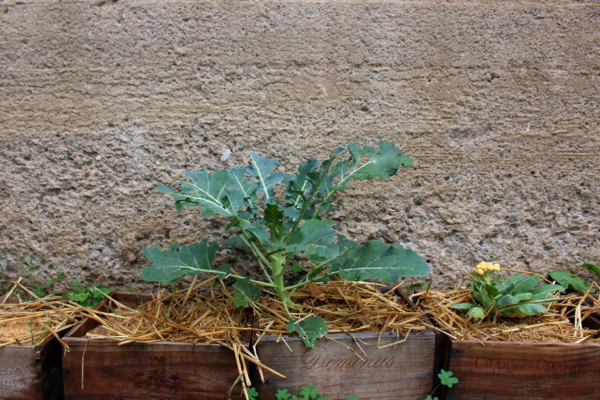 For example – 6 pea plants purchased, got 1/2 cup of peas. Total. All summer.) Thanks! On a related note…could I grow any of this stuff inside, do you think?